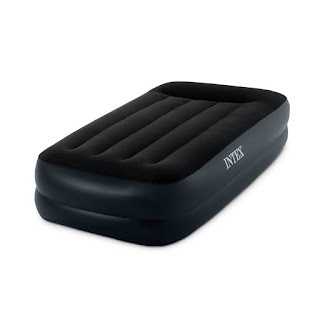 Head over to get this Intex Pillow Rest Raised Airbed with Built-in Pillow and Electric Pump, Twin for ONLY $19.99 (Retail $39.99)! Accommodate sudden guests! The quality built-in pillow and soft plush surface creates a cozy night’s sleep while the bed’s elevated height contributes to supreme comfort and stability. The built-in electric pump inflates and deflates with the touch of a button, easily adjusting to your desired level of firmness.